Even though the holidays get busy, you can’t forget to spoil man’s best friend! 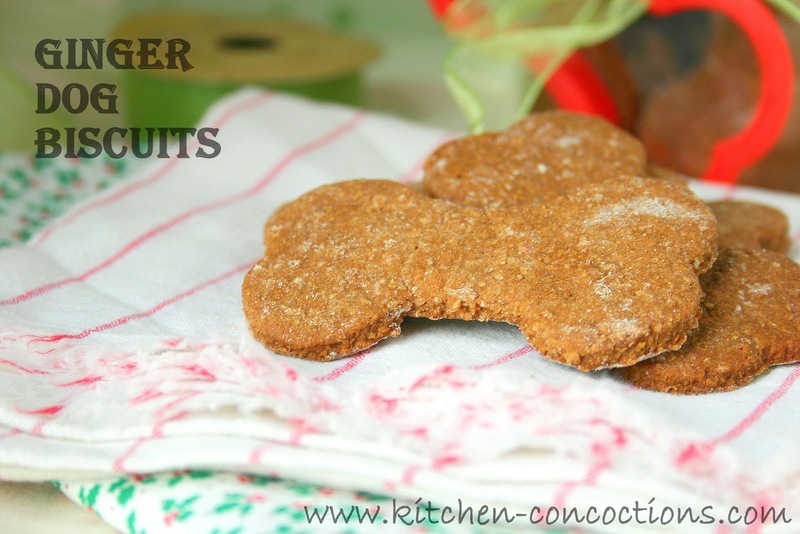 Making homemade dog treats are something I try and do on a somewhat regular basis for my own beloved pup, but have to admit, it is not something I do all the time. And honestly I don’t know why! 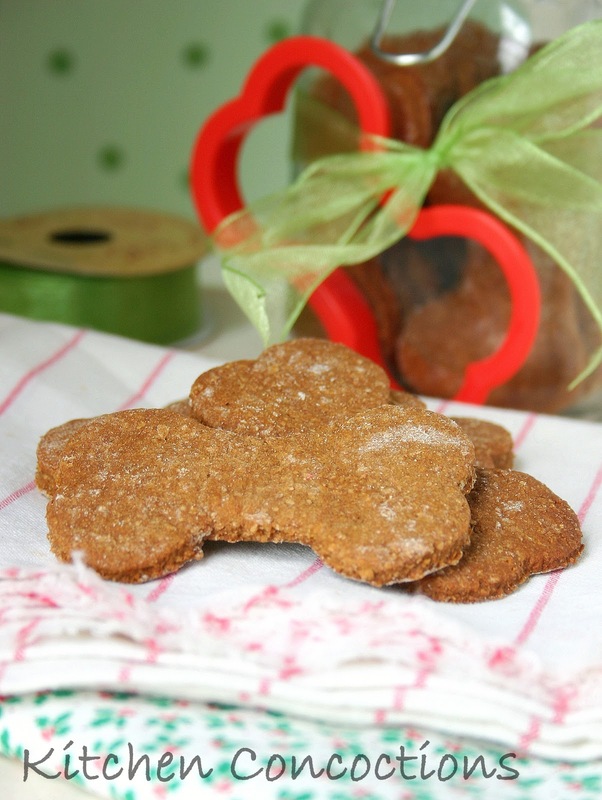 Homemade dog treats are a whole heck of a lot cheaper than store bought and don’t contain anything toxic or harmful, just common pantry ingredients. Packaging Suggestion: There are a number of ways you can package these dog biscuits. 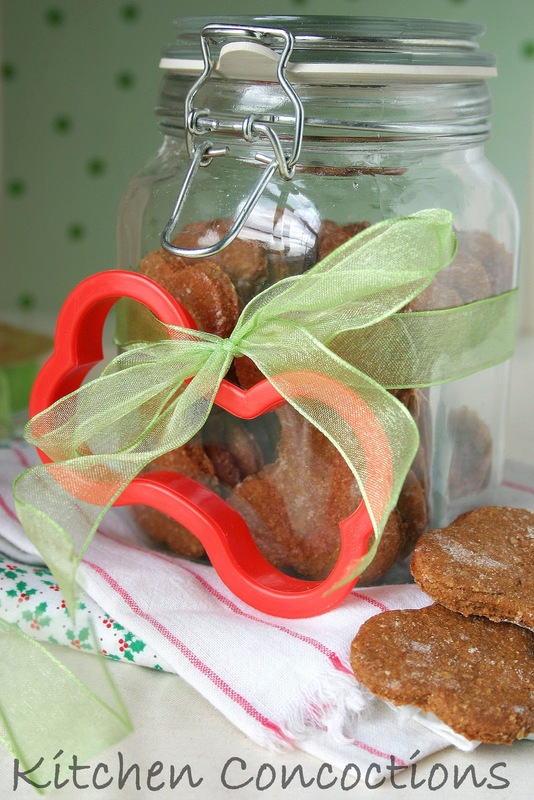 I personally think the way I have shown in my pictures, in a ‘candy jar’ type container with a festive bow tied around attaching a dog bone cookie cutter looks super cute. But you could also put these biscuits in a dog bowl, with maybe a dog toy and tie cellophane around everything. Or you could simply put these in a cellphone treat bag and tie the baggie with a bow. In a large bowl, combine the flours, fresh ginger root and dried spices. Stir in the water, molasses and oil (dough will be stiff). On a floured surface, roll dough to 1/4-in. thickness. Cut with a 3-inch bone-shaped cookie cutter. Place 2-inches apart on ungreased baking sheets. Bake at 325° for 20-25 minutes or until set and beginning to brown. Cool on a wire rack. Store in an airtight container.